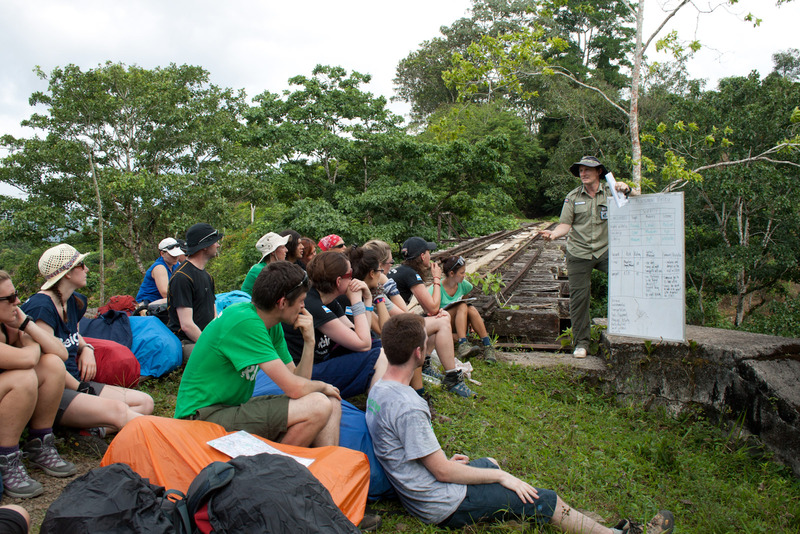 According to Ross we had perfect conditions for jungle camp… the moment we arrived, torrential rain chucking it down before we had time to put up tarps. Pretty amazing bunch of people, not a grimace, groan or moan from anyone. And that was after a long day with a 3:30am start (half cooked porridge), putting map/compass/navigation skills to the test, river crossing exercises (the crab is definitely the favourite), plus some safety briefings and risk assessment exercises on leading venturers across potentially dangerous routes. No pics of jungle camp (too wet for cameras) but rest assured it was very jungly, very wet, very dark, everyone looking like fireflies with their individual head torches. 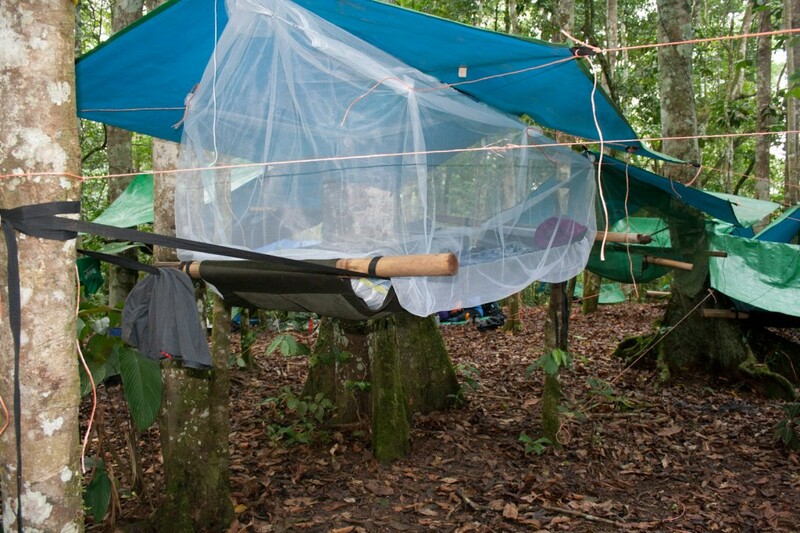 Lots of effort put into building bashas (bed constructed from bamboo poles, tarp and stretchers) or hammocks a simpler version of the basha slung between a couple of trees (my preferred option, especially when fitted with a swing rope to rock yourself to sleep with). My hammock … the four poster bed version, very comfy, high and dry. Others not so much… more than a few people falling out in the night or desperately clinging on.